The Nicaraguan government published the so-called “White Paper on the Great Interoceanic Canal” last week, amidst uncertainty for the future of this project, whose progress is being kept secret, without Chinese businessman Wang Jing, the concession holder, showing his face for over a year. The document, which is basically a summary of Law 840 – which farmers who would be affected by the canal construction are trying to get revoked – was distributed by the Nicaraguan presidency via email. However, it doesn’t offer any new details about the project, nor does it mention the date when building work will begin or end, nor who the investors willing to put up their money for the construction work are. 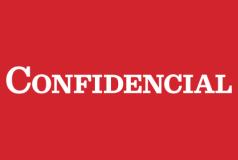 CONFIDENCIAL talked to business people who are members of the Advisory Committee, whose members include the president of the Superior Council of Private Enterprise (COSEP), Jose Adan Aguerri and member of the Industries Chamber (CADIN), Rodrigo Caldera. Both said that they had no knowledge about what stage the project was in. Caldera, for his part, said that the Evaluation Committee hadn’t met with the Technical Commission since last year and is unaware of what stage the project is currently in. “Recently, we haven’t been called to a Canal meeting as members of COSEP,” Caldera said when he was asked. He also said that the advisory committee is inactive, bearing in mind the time that has passed since it has been summoned to talk about the project. Aguerri, on the other hand, said that “the White Paper’s message is that the project is still real.” However, he stressed that they don’t have any idea when construction work could begin. Last June, CONFIDENCIAL published an article about the Advisory Committee not having met for a year. And up until this month, September, this hasn’t changed. The son of the presidential couple and adviser on business affairs, Laureano Ortega, similarly dodged questions and didn’t answer CONFIDENCIAL’s questions when it approached him about the subject. The publication of the Interoceanic Canal White Paper has come about a week after Comandante Ortega’s Government issued a decree which does away with the need for environmental impact studies for infrastructure projects. Aguerri defended the measure arguing that criticism against the presidential decree is “judging a book by its cover”, as the content of the ministerial order that was issued by the Government is still unknown. “Now a 500-something page ministerial resolution will come along and that is what they (critics) need to analyze and then give their opinion,” the business leader said. However, he did stress the fact that environmental impact studies for construction projects will continue, as it was a decree that was revoked and this will now be replaced by the new resolution. According to Aguerri, this publication could come by the end of the week or at the beginning of next week. In the “White paper”, the Government gives explanations about how building engineers involved in the project are trying to minimize its impact on the environment, protecting Nicaragua’s sovereignty and improving living conditions of 29,048 persons, among indigenous and farm families, who will be removed from their land, which is what sparked this controversy in the first place. In the document, the Nicaraguan government has set out for the first time the options that farmers have to be compensated for their land. According to the “white paper”, every property whose owner is a farmer will enter individual negotiations with the authorities, and in order for them to be compensated, owners will be able to choose between four options: being paid in cash, money plus a rustic home, an urban home or the chance to live in a new settlement plus a piece of land. In the indigenous people’s case, their land will be leased perpetually and they will receive regular compensation in exchange, as stipulated in the document. With regard to Nicaragua’s sovereignty, the Government has ensured that it will continue its crackdown on international crime and that the canal area will only be governed by Nicaraguan authorities. It also states that the environment will be protected by 26 prevention plans, which have been specifically designed for each of the ecosystems this project will interrupt. Among preventative measures, the Government has pointed out that the Brito river’s mangroves (Pacific) “will be preserved” with a rock wall, in order to prevent fresh water from mixing with saltwater, the route was redesigned so as to reduce the economic and social impact in the Rivas department (province), and dredging on the coast will only be done with suction dredgers. The Government insists throughout the “white paper” that the project will be carried out according to all the laws in Nicaragua’s Constitution, environmental laws and property expropriation laws. It also explained how it held 17 focus groups along the canal route, as well as 74 forums, in which 16,500 people took part, plus surveys which revealed that up to 74.1% of the population view this project favorably. According to the “white paper”, the canal project involves 275.5 km, 116.7 km of which are by land and 158.8 km by water, 280 meters wide and 33 meters deep. It includes a port on the Pacific coast, another in the Caribbean, an airport, free trading areas along the route and highways. The Nicaraguan government is hoping that this building project will create 50,000 jobs, and will need another 3,700 workers to run it, and 12,700 in 2050, with 113,000 job opportunities in the free trading area and 3,000 in tourism hubs, and it will significantly reduce general and extreme poverty. The project has been granted to Wang Jing’s HKND for 50 years, renewable for another 50 years, once it begins to operate. According to the Nicaraguan government, complementary research on Social Environmental Impact Studies (EIAS) is also underway, but the paper doesn’t state the exact start date for construction to begin.